F-Secure Mobile Security is a comprehensive mobile security software that provides proactive defense against virus, spyware, malware threats, worms, and trojans. F-Secure Mobile Security can scan both incoming and outgoing network data packets, protect the contents of phone, provide safe mobile web browsing, and comes with anti-theft remote control feature to locate the mobile device in case it is lost or stolen. In addition, F-Secure Mobile Security also comes with firewall with automatic updates for signature database via SMS or HTTPS connections. 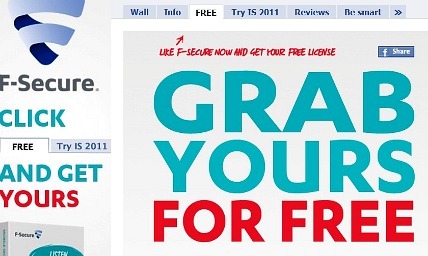 F-Secure Mobile Security normally cost $34.95 per single license. As part of promotional offer, F-Secure is giving away 5,000 full version license keys of F-Secure Mobile Security for free. Visit F-Secure Facebook Fan page and click on the “Like” button. Fill in the form by enter the email address, and then click on “Submit” button. An email from “F-secure” will be sent to registered email containing the link to download the setup installer and a license key code for F-Secure Mobile Security. F-Secure Mobile Security supports Windows Mobile, Android, and Symbian operating system.